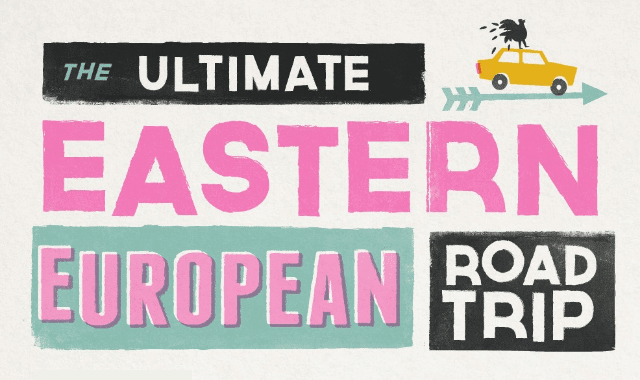 The Ultimate Eastern European Road Trip #Infographic ~ Visualistan '+g+"
Eastern Europe is this continent’s best kept secret, with tourists traditionally opting for the well-trodden paths of France, Spain and Italy. If you’re looking for an energetic nightlife, beautiful beaches and awe-inspiring scenery combined with fascinating history, arts and culture, Eastern Europe has it all. So, what are you waiting for? Read on and let our 5 road trips inspire you to plan your perfect trip!